I really love tulips. If I can see tulip flowers I will really take pictures of it. 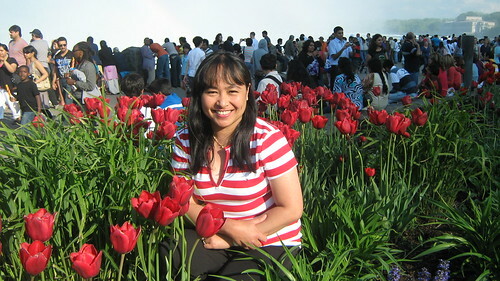 Like this red tulips at Niagara Falls. It's so pretty like me, lol. I asked my sister in law betty to take pictures of me. I love it very nice. Behind me are the people who travel and view the most amazing falls. They also take photos and videos.